NEW DELHI, OCTOBER 31: The teachers of Dyal Singh College, University of Delhi have threatened to go on an indefinite strike from November 5 demanding the removal of the Governing Body Chairman Amitabh Sinha. The teachers have alleged that Sinha has been misusing his powers and has been allegedly taking illegal and arbitrary actions, while the Delhi University (DU) administration has maintained an ‘indifferent’ silence. 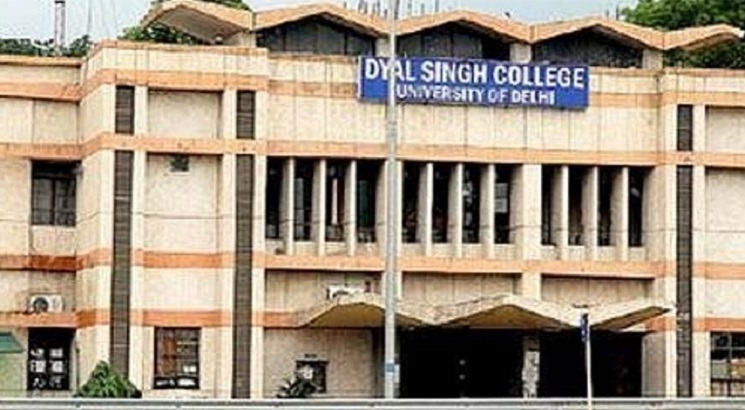 The row at the Dyal Singh College erupted last year when the University decided to start two ‘Morning Colleges’ on the same campus in place of the Morning and Evening Colleges. Reportedly, the decision drove a wedge among the staff and students of both the colleges over limited infrastructure and resources. This led to protests as the College Governing Body Chairman Amitabh Sinha allegedly supported Evening College interests. The Dyal Singh College Teachers Association (DSCTA) has put all the blame of existing crisis in the college on the Governing Body Chairman and has alleged that Sinha acted in an authoritarian manner which compounded the crisis. As per DSCTA, he tried to escape the situation by renaming the College, then usurped the executive powers of the office of the Principal in the conduct of the College, exceeded the brief of the office of the Chairman on many occasions by making the GB party to many procedural wrongs. The Principal of Morning College has been sent on leave on charges of irregularities, it has been alleged that the decision was taken arbitrarily by the Chairman. “Now, he has sealed the office of the Principal and complicated the financial working of the institution by asking the College bank to disregard the office of the Principal, Morning College,” DSCTA alleges. The teachers have alleged that all along these series of violations, illegalities and arbitrary actions on the part of Sinha, the DU authorities especially Prof YK Tyagi, VC has maintained a totally indifferent and criminal silence. Dyal Singh is a university maintained college and the DU's alleged indifference has created a serious academic, administrative and financial crisis for the staff and students of the Morning College. The teachers have threatened that if Sinha is not removed immediately from the post of Chairman, Dyal Singh College, GB, renewal of his term is due on November 3, DSCTA will be forced to take action from November 5 onwards. The Dyal Singh College teachers have the backing of Delhi University Teachers Association (DUTA).